The region of Lazio is located in central Italy. The region is also known as Latium and the world famous city of Rome is located in the center of Lazio. Apart from Rome too there are plenty of other good places to visit in the region. There are several fascinating landscapes, good countryside, hills, several lakes, cities and a coastline that is lined with many good beaches. The are several good fishing villages and excellent restaurants in the region. The economy of the region is based mainly on fishing, animal breeding, handicrafts and agriculture. The agriculture in Lazio is mainly done for cultivation of olives, vegetables, fruits and grapes. Lazio has plenty of good vineyards and wineries that produce good quality wines. The most important city in Lazio and even in Italy is Rome. Rome is home to many good open air markets and handicraft fairs. The most important market is held weekly on Sunday on Porta Portese. This is known to be one of the most famous flea markets in Europe. Visitors from all over Italy and even Europe make it a point to visit this flea market if they are in Rome. Visitors would be able to find almost anything in this market like Kilim rugs, Russian phonograph records, handicrafts and several artifacts. The market is spread over miles so visitors would have to walk a lot in order to be able to check out all the items on sale. Also it is advisable to reach there early in order to get all the priceless products before they are sold off. In Rome, on weekdays there is another outdoor market which is held on Via Sannio. This market is best for those who want to purchase, jewelry, accessories and clothing items at good bargain prices. Bargaining is a tradition here, like in all flea markets and visitors who are good at bargaining would be able to get a good deal on the items. In Campagnano every month on the last Sunday there is a market which is held in the historical center of the town. Campagnano is quite a different experience all together in comparison to Rome since it is still quite medieval in nature. It is only located a few miles away from Rome so even those who are visiting Rome can drive down for the market. There are hundred or more stands in the market where the local vendors sell different items like silver, jewelry, antiques, furniture, pottery and ceramic items for home decoration. In the town of Bracciano, every month on the second Sunday a flea market is held in the historical center of the town. The market remains quite busy and crowded so visitors would have to be ready for that. The market is located quite close to the historic castle of Bracciano which has appeared in a few movies. The vendors in the market sell antiques, furniture, handicrafts, and various souvenirs and odd trinkets. There are also several good restaurants nearby. Rome is known to be one of the best places to shop in Italy. Rome has almost everything that visitors would want to purchase. From large modern shopping malls to more traditional stores, Rome has it all. The most famous shopping areas in Rome are via Condotti and Via del Corso. Via Condotti is lined with the best known designer stores where the latest trends in fashion are sold. Visitors would find clothing, bags, shoes, sunglasses, jewelry and various other things, but these are all definitely quite pricey. For those who are looking for affordable items, Via del Corso is a better place. Via del Corso is lined with shops where visitors would be able to find affordable clothing items. Via del Tritone, Pantheon and Campo dei Fiori are the places where those who are looking for the cheapest items should go. Upim store is a good place to find very inexpensive clothing items. Brands like Furla and Miss Sixty are also located on the shopping street. Leather bags and shoes of very good quality are available at great prices in comparison to US and UK. The Euroma2 mall is a very large shopping mall which has more than 200 shops. Visitors would be able to spend the entire day at the mall looking at various accessories and clothing stores. The mall has several good food stores and restaurants as well. Rome is also home to many stores where visitors would find fake designer bags and shoes which would be available at next to nothing prices. Those who have had an experience shopping in Rome would find Frosinone to be not quite impressive. Though Frosinone is quite a small location, there are many places where visitors can shop. Frosinone does not have designer stores or very chic boutiques but it does have more affordable shopping options when it comes to clothes and accessories. Visitors would also be able to find plenty of food stores in the province and in the city where good local food items can be purchased. Cheese, olive oil and wines are available almost anywhere and they are of quite good quality. Apart from that there are plenty of good bakery shops in the town where visitors would be able to sample quite a lot of traditional sweets, desserts, cakes and pastries. Locally made pasta packets and spice mixes are commonly found in many food stores. Outlet of name brand “Blunauta” which was a short time ago called “Balloon.” Here, you’ll find the top of the line “not for sales” in the various shops throughout Italy. There’s a grand choice of outfits, skirts, shoes, shirts, pajamas, and linens in slik, but also in cotton and linen. You will find tops from 2,50 euro- 34 euro. Golfing clothes and cashmere scarves at half price. For sale from the previous season are clothing items from these lines: LB Mre. LB Jeans, LB Junior, and LB Uomo. You’ll find here, articles that are not sold in shops; umbrellas, ties, tops, purses, shoes (sportive & elegant) and tops in cashmere. Outlet of the Cisalfa group, who specialize in sportive articles. Skiing, soccer, fitness, boxing, tennis and cycling. Besides clothing, there are shoes and accessories and collections for children from 0-14yrs–the line “La Cicogna.” All products made by Cisalfa. The entire of Max Mara’s collection from the previous season is here! Other lines at the shop include; SportMax, Max & Co.,” Blues, Pianoforte, Marina Rinaldi, Weekend, Penny Black, and Marella. You’ll find coats, tailleur, jackets, complete outfits, skirts, pants, evening wear, and tops of high quality. Pick from the name brands here; Borgofiori, Uomo Lebole, UL Trendy, UL Sport, Principe by Marzotto, Marlboro Classic and Missoni Donna. Clothing and accessories –sport, shoes, boots, belts and hats from the previous year. Find top of the line clothing in sportive and caual, shoes and accessories. Collections arriving from the Bulgari Boutique. 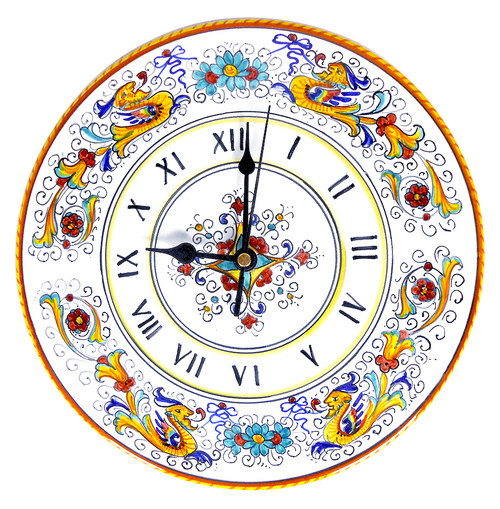 Accessories; silver and leather, clocks and porcelain, ties and perfumes. You also may find crocodile purses from 1,000 euro. They speak English and Japanese. NOT ONLY boating shoes and mocasins, but boots and clothes too! Jeans, Bermudas, tops, jackets and purses. The store is half an outlet, and half a regular shop. Yoiul’ll find the remainders and past collections of bedding, comforters, towels, and down comforters! Couches and armchairs from the previous season. Lamps, chandeliers, wall lamps, and plafoniere in Murano glass..you’ll find crystal glasses, plate sets and tea & coffee sets. Some articles slope down to 70% off. Francia is Lazio’s producer of the famous “Mozzarelle di Bufala” Mozzarella made from buffalo’s milk. This is the outlet which sells directly to the public- They also sell homemade ricotta, yogurt, caciotte (fresh soft Roman cheese), provoloni, stracchino (a creamy white spreadable cheese), and other cheeses from the Lazio Region. The tiny city of McArthur Glen! After the Serravalle Outlet, it’s the second Outlet in the capitol to open. A grand mall where you’ll find the top Italian and International brand names. And they carry jewelery, cosmetics, sports items amongst the endless shops of clothing. There are over 30 famous brand names mixed among the shops in this district.